Leon “Corky” W. Steenbock, age 89 of the Town of Larrabee, Waupaca County, passed away with his children at his side Sunday afternoon, January 20, 2019 at the Aster Retirement Community in Clintonville. Leon Waldemar Steenbock was born on June 21, 1929 in Clintonville as the son of the late Waldemar and Ida (Rekitzke) Steenbock. He graduated from Clintonville High School and served his country in the Army National Guard. Corky retired from service in 1974 as a Lieutenant Colonel in the Red Arrow Division; serving a total of nearly 25 years. His division served during the Berlin Crisis, Madison Student Riots, and the Milwaukee Race Riots. Corky was in command of units in Clintonville, Appleton, and Milwaukee during his service. He was united in marriage to Doris Rockman on August 23, 1952 at the United Methodist Church in Clintonville where the couple were faithful members ever since. Corky served on nearly every board the church had and chaired most of them at some point. He also helped with funeral luncheons, Men’s Lenten Breakfasts, and was a substitute Sunday School Teacher. Corky was also active in his community. He served on the Clintonville City Council from 1965-1975 and again from 1976-1982; proudly serving as president of the council from 1972-1973 & 1981-1982. Corky worked as an Engineer at FWD Seagrave in Clintonville for his entire working career and retired in the early 1990s. He taught hunter & snowmobile safety courses to area residents as he had a love of the outdoors and was a member of the Truck City Riders Snowmobile Club. Corky also chaired the Clintonville Hospital and Behling Boards for a number of years and was instrumental in the transition of the hospital building to the now Aster Retirement Community. 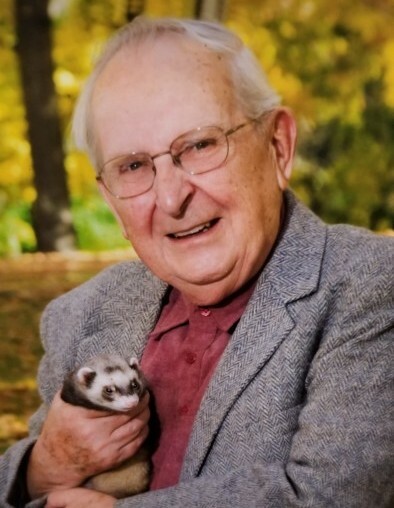 He enjoyed curling at the Clintonville Curling Club, traveling, gardening, cooking, canning, making sauerkraut & candles, and taking care of his ferrets, dogs, and even his rooster. Corky was always giving of himself and his time. He will be missed dearly by his family and friends. His Daughter: Amy M. Steenbock, Clintonville. Son: Greg R. (Ann) Steenbock, Appleton. Grandchildren: Connor & Kyra Steenbock. He was preceded in death by his parents, wife Doris in 2017, brother; Gordon Thurk, and sisters; Jeanette (Walter) Fischer, Nathalie (Milton) Bevernitz, and another in infancy.